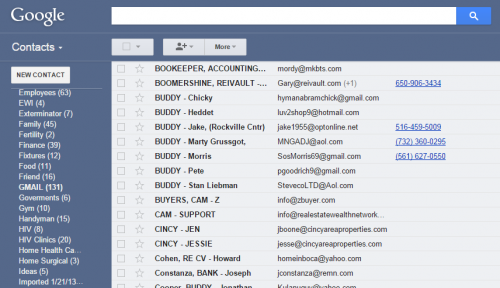 In the past I could create a new name in my gmail email account such that when I start an email and start typing letters I would begin to get ba list of names corresponding to the letters I am typing ---- NO LONGER----- was there a change or am I entering the contacts incorrectly? 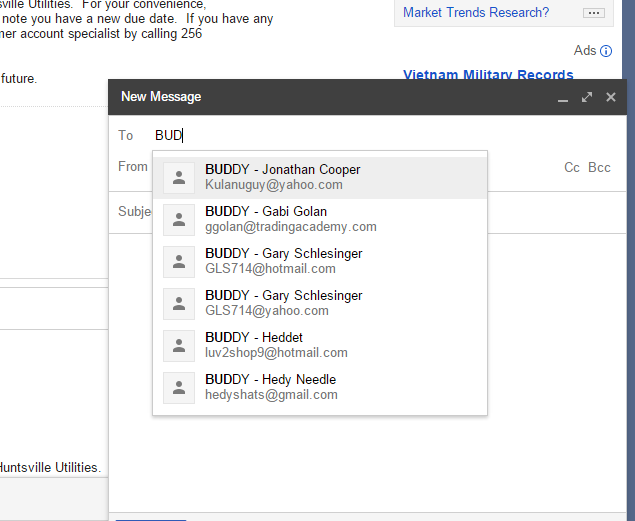 for example I had many names starting with the letters BUDDY, so as I started typing in my email BUDDY all would show up so I can pick. However all new BUDDY names I now enter, do not show up on that list. Edited by Martykatz9, 18 October 2014 - 10:54 AM.